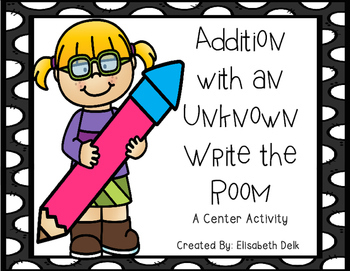 This is an addition with an unknown write the room activity that is perfect to use for a center/station activity. 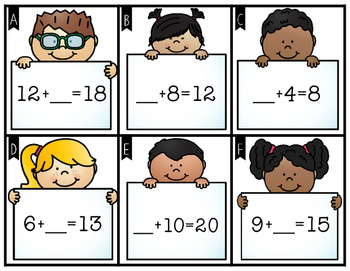 Students will find cards around the room with an addition problems with an unknown. Students will write the problems in the correct box on the recording sheet and find the unknown. 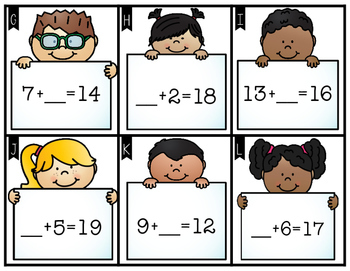 Included are 4 sets of 12 addition with unknown problems and one recording sheet. 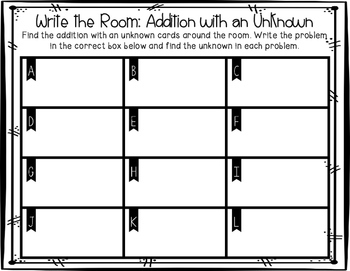 If you do not want to use this as a write the room activity, this can still be used as a center/station activity by placing the cards in a tub along with the recording sheet.